Lori Lane has led the New Homes Division since 2006, representing some of the most well respected builders and developers in the Atlanta Market. Lori provides full service sales and marketing for single family home projects, townhome, master planned developments, mixed-use, and condominium projects all throughout the metro Atlanta market. Lori and her team have won numerous awards over the years and today represent 15% of the new construction market. During her tenor as Sr. Vice President and Managing Broker, the company has seen the most growth and profitability since the creation of the division. In 2014, Lori was asked to oversee the luxury marketing for the company and is credited with the creation and implementation of the Black and White Elegance Campaign that hit Atlanta in early 2015. This exclusive high-end luxury marketing campaign grew the company’s market share by nearly 60% and has become a leading factor in the recruiting of luxury agents to the company. Recently partnering with SCAD to enhance the campaign has resulted in continued growth and added an even higher level of service and recognition for our luxury clients’ listings. 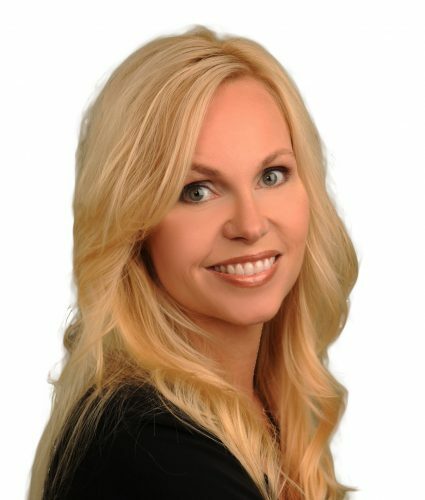 With over 20 years of experience in sales and marketing, Lori has won numerous awards over the years. Prior to running the New Homes Division, she was a highly successful on-site sales agent, receiving industry recognition, including the prestigious HBA Professionalism award. With an on-site agent background, Lori uniquely understands the clients’ expectations of the on-site team and provides the support her agent team needs to accomplish these goals. The New Homes team describes her as a motivator and is extremely hands-on when supporting, encouraging and training her sales staff. Lori’s clients and co-workers know Lori as one of the hardest-working, focused people they have ever known and builders trust her with marketing and staffing their communities. It was natural when the condo market came back, to build a condo division using the resources created for the New Homes Division and Luxury. With full support from Dan Forsman, Lori knew she needed the leading experts in this area to build and create the most effective platform for developers. This led to the formation of CITY HAUS. With the expertise and collaboration of this team, combined with the engine of Berkshire Hathaway, the best is truly yet to come.